Vietnam may see more Zika cases because community immunity to the mosquito-borne Zika virus is still low, particularly in central, southern and Central Highland provinces. Deputy Director of the health ministry’s Diseases Control Division Nguyen Duc Khoa made the warning at a talk held on the Government’s e-portal chinhphu.vn on November 24. He said that as of November 21, Zika had been found in seven provinces and cities, namely Binh Duong, Long An, Ba Ria-Vung Tau, Phu Yen, Dak Lak, Khanh Hoa and Ho Chi Minh City. So far, Zika was found mostly in localities with temperatures of 20-30 degrees Celsius, which aids the development of the mosquitoes which carry the virus causing Zika. 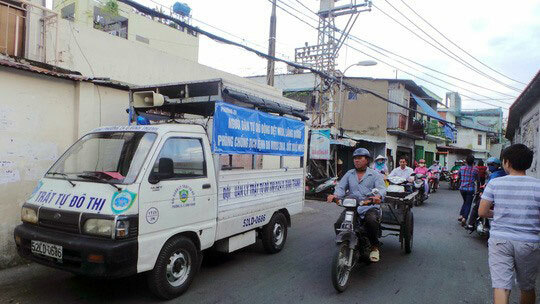 Meanwhile, Ho Chi Minh City’s Preventive Medicine Centre diagnosed nine more Zika patients by November 25, bringing the total number of cases in the city to 74 and total number of cases in the country to 83. Dr. Tran Danh Cuong, deputy director of the Central Obstetrics Hospital, said that Zika is dangerous for pregnant women and about 3-12 percent of babies with Zika-infected mothers suffered from microcephaly, in which babies are born with abnormally small heads and restricted brain development. He said that there is no medicine to treat the disease and no vaccine to prevent it. Pregnant women living in or travelling to areas with Zika should go to hospital for Zika tests, Cuong said, adding that doctors could detect microcephaly from the 18th week of pregnancy. Women who were suspected to have Zika during their first three months of pregnancy could receive free Zika tests at healthcare centres, he said. Earlier this month, the World Health Organisation declared that the mosquito-borne Zika virus will no longer be treated as an international medical emergency. However, by lifting its nine-month-old declaration, the UN’s health agency is acknowledging that Zika is here to stay. The move is not a demotion of the disease, Pete Salama, executive director of WHO’s health emergencies programme, told a press conference. “We are not downgrading the importance of Zika. By placing it as a longer-term programme of work, we are saying Zika is here to stay and the WHO’s response is here to stay.”./.